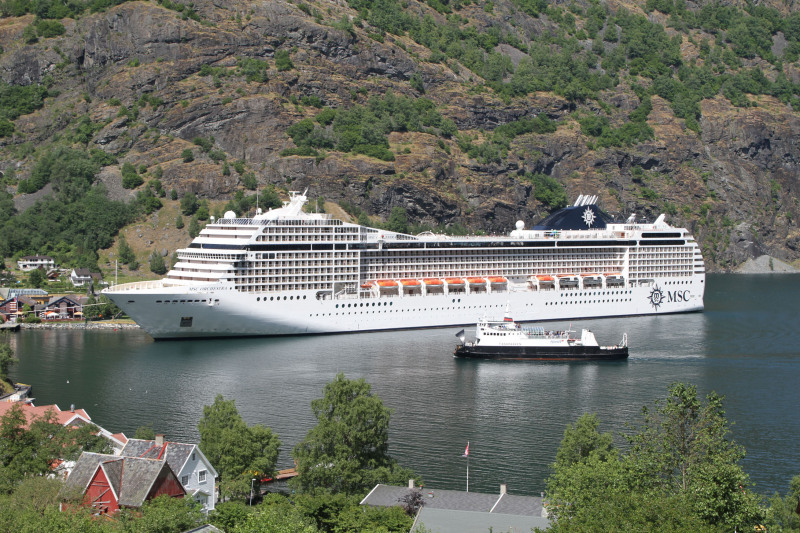 Big and small: Fanaraaken inbound for Flaam, and MSC Orchestra docked at the same place. Photo by Tomas. what a nice post! mrdot.